In December 2016, I was in Burkina Faso for a research assignment. The assignment included an analysis of legal frameworks on FGM/C in 12 countries (including Burkina Faso, Chad, Cote d’Ivoire, the Gambia, Guinea, Guinea-Bissau, Liberia, Mali, Mauritania, Nigeria, Senegal and Sierra Leone). 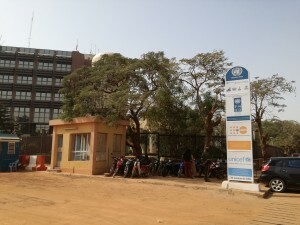 Burkina Faso was selected as a case study, because this country has a unique track record in relation to the enforcement of the law criminalizing FGM/C. Many people working in the field of FGM/C will be aware of “the Burkina Faso question”: how it is possible that so many people are being prosecuted for FGM/C in this country, while in other countries prosecution in the field of FGM/C seems so difficult? In order to find an answer to this question, I conducted interviews in the capital Ouagadougou (often shortened to “Ouaga”) and in Kaya. What was the objective this research? International and regional legal instruments urge States to prohibit FGM/C by the enactment and effective enforcement of national legislation, including the prosecution of perpetrators of FGM/C. In order to ensure the effective implementation of these laws, States are urged to establish a concrete national mechanism for the implementation and monitoring of legislation, law enforcement and national policies. In addition, States should allocate “sufficient resources” to the implementation of legislative frameworks aimed at eliminating FGM/C. Since the 1990s, a growing number of countries have enacted legislation against FGM/C. Most recently, the governments of The Gambia and Nigeria adopted national laws criminalizing FGM/C in 2015. However, there are also exceptions in the region (such as Liberia, Mali and Sierra Leone) and there is a large degree of variation in the efficacy of implementation and enforcement of these anti-FGM/C laws, as well as of the quality of the national legal frameworks that deal with FGM/C. The research assignment focused on the legal aspects of FGM/C and the legislative reforms that have taken place the past decades, as well as the current state of affairs in the 12 countries. The aim of this research is to contribute to ongoing advocacy for the development, enforcement and review of effective legislation on FGM/C. This research will serve as a reference for those wanting to examine and compare the different legal frameworks in place in the region and identify areas for review and revision. My study will also share examples of strong legislation or strong law enforcement. 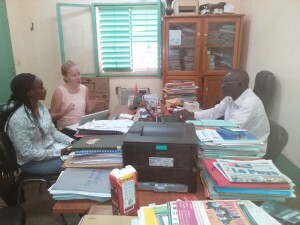 Semi-structured in-depth interviewing represented the primary method of data collection during the fieldwork. In-depth interviews were optimal for collecting data on respondents’ personal perspectives and experiences in relation to the application of the law criminalizing FGM/C. The semi-structured interviews were informal in tone and focused on specific issues that provided a degree of flexibility. The semi-structured format facilitated a flowing discussion and allowed for an open response in the respondents’ own words rather than a ‘yes or no’ type answer. 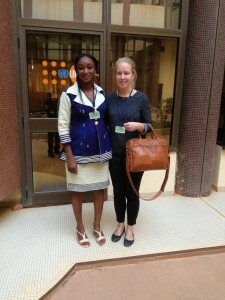 Who did I interview in Burkina Faso? In total, 20 stakeholders were interviewed, which included representatives of the government (Ministry of Justice), the police, gendarmerie, staff of health centers, UN Agencies (UNFPA and UNICEF), prison staff, prosecutors, judges, but also staff of the Permanent Secretariat of the National Council for the Fight against the Practice of Excision (SP/CNLPE), Social Action, and members of Civil Society Organizations. Burkina Faso became one of the first African countries criminalizing FGM/C. There is strong political will and commitment to ending the practice. In 1996, the government amended the Penal Code with Law No. 043/96/ADP and introduced severe punishments for those who perform the procedure throughout the national territory. The implementation of the law and the approach of the government towards the elimination of FGM/C have been called “exemplary” and “unique”. A recent study conducted by Ben Crisman et al. on the impact of the law on FGM/C in Burkina Faso found evidence for a substantial drop in the likelihood of girls being cut in the country after the passage of the law. The scholars estimated that the law prevented approximately 240,000 girls and women from being cut in the past 10 years. 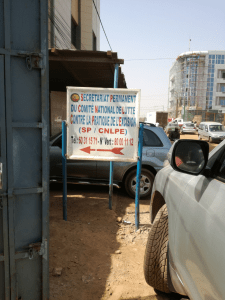 Since Burkina Faso is internationally recognized as one of the few countries where legislation is systematically and effectively enforced, and where people who break the law are commonly prosecuted, this country might provide lessons to other countries. Prevalence of FGM/C has been defined by the DHS and MICS surveys as “the percentage of girls and women of reproductive age (15-49 years old) who have experienced any form of FGM.” Burkina Faso is classified as a ‘medium prevalence’ country, since the percentage of girls aged 15-19 experiencing any form of FGM/C is between 20 and 60%. Knowledge of FGM/C is almost universal throughout Burkina Faso, with 99.6% of women and 98.0% of men having heard of the practice. The estimated national prevalence of FGM/C in Burkina Faso among girls and women (aged 15-49) is 67.6% (EMC 2015). In the past 17 years, the national FGM/C prevalence has seen some fluctuations. Overall, the national prevalence of girls and women aged 15-49 decreased with 4.0% in the country. However, the younger generations show a lower level of prevalence than those of older generations. In the past 17 years, there is a 21.8% decline in FGM/C prevalence for girls in the age group 15-19. The majority of girls in Burkina Faso undergo FGM/C at a young age: 60.4% before the age of 5, 28.2% between 5-9 years, 8.9% between 10-14 year and only 2.0% after the age of 15. Unfortunately, since the study has not been published yet, and therefore I cannot share the research results with you. However, I can share with you the different elements that I focused upon during this research. First of all, I analyzed the constitutions of all 12 countries, which are available here, and I had a look whether the principle of equality between women and men and of non-discrimination were enshrined in the constitutions. Secondly, I analyzed the drafting process in the countries where a law has been adopted. The approach of governments, as well as their reasons for undertaking legislative reform on FGM/C often determine whether the law will be effectively implemented. 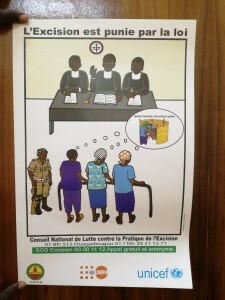 For example, it important that a laws are drafted through a consultative process (including practicing communities, civil society, religious leaders). I also analyzed what action has been taken in the countries where no law has been adopted. I tried to identify the forces that are pushing against the criminalization of FGM/C at the national and local level. Type of law (penal code, women’s act, reproductive health law, children’s code)? Terms used to refer to the practice (FGM, FGM/C, circumcision, female excision)? Definition of FGM/C (WHO definition or other)? Which types of FGM/C are prohibited? Attempt to perform FGM/C also prohibited? What is the penalty (imprisonment, fine, or both)? Higher penalty when FGM/C is performed by medical professional? Who can be offenders (cutter, parents, medical professionals, others)? Failure to report FGM/C to authorities criminalized? Are there any policies and national action plans? Apart from the analysis that will be published, I developed a standardized template with information about the legal frameworks on FGM/C for each country. These country fact sheets will become available as well. The report will become available by the end of 2017. Below you can find a short movie that I made on my way from Kaya to Ouagadougou. It gives an idea how the road between these two cities in Burkina Faso looks like.